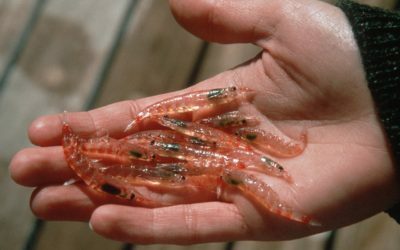 Antarctic krill, a shrimp-like crustacean that can grow to 6cm long, is a food source for fish, whales, seals, penguins and other seabirds. Rich in oil and other nutrients, this marine animal is harvested by a commercial fishery to produce a range of products including fish meal for feeding farmed fish, and nutritional supplements for people. As markets for these products grow it is important to ensure that krill stocks are managed sustainably to meet the needs of krill predators as well as the needs of the fishery. Long-term ecosystem research by the British Antarctic Survey (BAS) underpins the conservation and management of Antarctic krill and the Southern Ocean ecosystem. 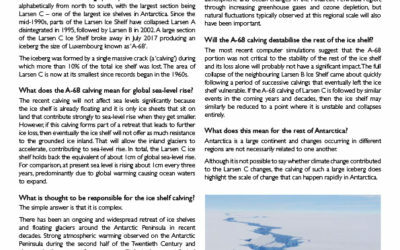 What research are BAS scientists doing on krill fishing in the Southern Ocean? BAS scientists have a long history of working with the Commission for the Conservation of Antarctic Marine Living Resources (CCAMLR), the international body responsible for managing fisheries in the Southern Ocean. CCAMLR first met in 1982 and now comprises 25 Member States. It is committed to ecosystem-based management, meaning that it is responsible for managing the impacts of fisheries on the health, resilience and productivity of the whole ecosystem. 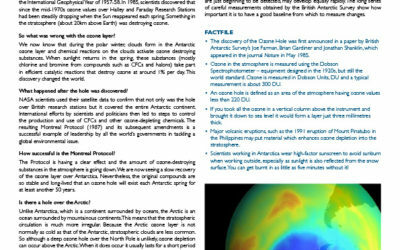 BAS scientists are very active in supplying scientific evidence to inform the policy and management decisions made by CCAMLR, including those affecting the management of the krill fishery that operates close to the Antarctic Peninsula, the South Orkneys and South Georgia. 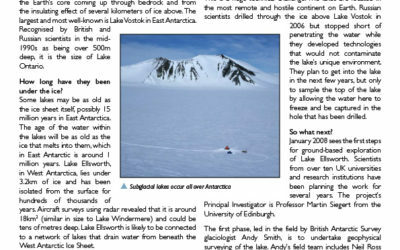 BAS science also informs the decisions of the Government of South Georgia and the South Sandwich Islands (GSGSSI), a UK Overseas Territory, which manages part of the krill fishery in co-operation with CCAMLR. CCAMLR is in the process of designing a new management system for the krill fishery which aspires to spatially subdivide the krill catch so that it does not have adverse impacts upon the marine predators that feed upon krill. This is a long-term project that requires collaboration and agreement between scientists from many nations, commercial fishers, fishery managers and Non-Governmental Organisations. Until the new system is ready, an interim catch limit has been set in place. This limit, 620,000 tonnes, is equivalent to approximately 1% of the estimated krill biomass in the region where the fishery currently operates. Catches cannot increase beyond this highly precautionary limit until the new management system is agreed. Do BAS scientists receive funding from any of the fisheries companies? BAS scientists do not receive funding from any commercial krill-fishing company. However, BAS scientists do collaborate with fishing companies to understand how the fishery operates. This collaboration has helped increase our understanding of the impacts of fishing on the Southern Ocean ecosystem. One of the krill fishing companies that we collaborate with is certified by the Marine Stewardship Council. BAS has two research stations at South Georgia: Bird Island Research Station hosts a long-term biological research programme and King Edward Point applied fisheries laboratory hosts commissioned research for the GSGSSI. This research provides the sound scientific advice that is necessary to inform decision making for the sustainable management of commercial fisheries around the island. The waters around South Georgia and the South Sandwich Islands (SGSSI) are subject to the provisions of the CCAMLR Convention. Therefore, the Government of SGSSI manages fisheries that are also subject to Conservation Measures agreed through CCAMLR. The GSGSSI often imposes more stringent management provisions than CCAMLR. For example, in February 2012 the GSGSSI implemented a large, sustainably-managed, Marine Protected Area around South Georgia and the South Sandwich Islands covering the territorial waters north of 60° south, stretching from the coast out to a distance of 200nm (see www.sgisland.gs). Following a stakeholder consultation, new provisions for the South Georgia Marine Protected Area were announced in January 2013. BAS has a long history of research into krill and its dependent species. It is worth noting that the abundance of krill is naturally very variable, and in some years krill can be scarce, especially around South Georgia. Scientific evidence shows that populations of some krill predators also vary in response to these natural fluctuations. Other evidence shows that some predator populations, and possibly the krill population, are undergoing longer-term changes. The causes of these changes are likely to include the ongoing consequences of historical over-harvesting of whales and seals and the complex effects of oceanography and climate. 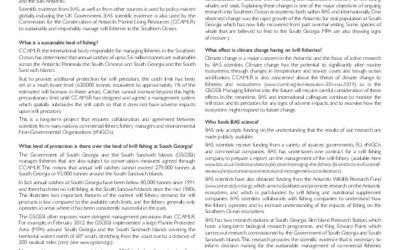 Explaining these changes is one of the major objectives of ongoing research into Southern Ocean ecosystems, both within BAS and internationally. One observed change was the rapid growth of the Antarctic fur seal population at South Georgia which has now fully recovered from past over-harvesting. Some species of whale that are believed to feed in the South Georgia Marine Protected Area are also showing signs of recovery. 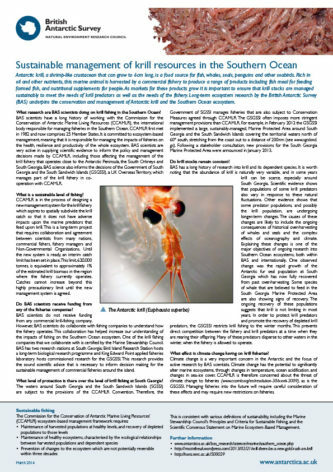 The ongoing recovery of these populations suggests that krill is not limiting in most years. In order to protect krill predators and promote the recovery of depleted krill predators, the GSGSSI restricts krill fishing to the winter months. This prevents direct competition between the fishery and krill predators at a time when they are rearing their offspring. Many of these predators disperse to other waters in the winter, when the fishery is allowed to operate. 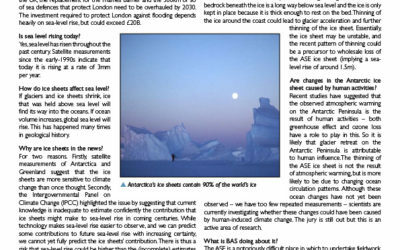 Climate change is a very important concern in the Antarctic and the focus of active research by BAS scientists. Climate change has the potential to significantly alter marine ecosystems, through changes in temperature, ocean acidification, and changes in sea-ice cover. CCAMLR is therefore concerned about the threat of climate change to fisheries (www.ccamlr.org/en/resolution-30/xxviii-2009), as is the GSGSSI. Managing fisheries into the future will require careful consideration of these effects and may require new restrictions on fisheries.